Table extends from 80" to 100"
I needed a Dining Room Set that matched my tastes. I purchased the Danette from 1StopBedroom. It is a great piece. I am proud to own it. My mother-in-law could afford practically any furniture she wants, but her savvy choice was the Danette Dining Room Set from Coaster's Danette at 1StopBedroom. Even when money's no object, this furniture is a solid pick for people who enjoy great aesthetics. 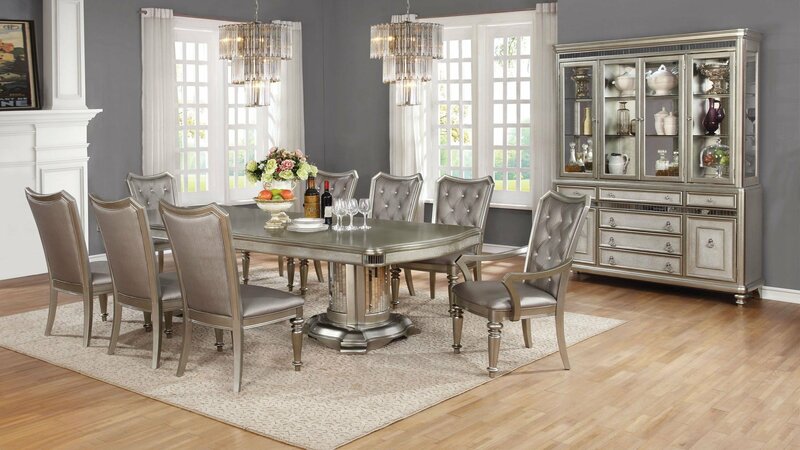 The Danette Dining Room Set shows like a diamond. Lots of oohs and aahs from my friends. 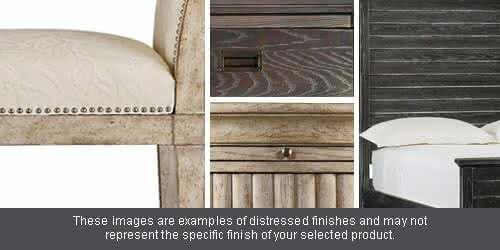 Besides the cool compliments, the real value of this piece is in its sleek appeal and functionality. 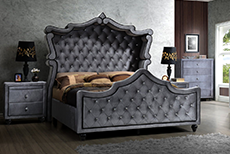 You won't be sorry if you order from the Danette very nice line of furniture. My Danette Dining Room Set turned out to be a nice solid piece. Nothing was damaged underneath generous wrapping materials, delivery was quick and on time, and the price was right. I love the Danette Dining Room Set from 1StopBedroom. I received in no time. It is durable. I was so excited to see that my Coaster Danette Dining Room Set arrived today from 1StopBedroom. I was skeptical about ordering a Dining Room Set from an online store, without looking at it in person. But it is beautiful, the craftsmanship is excellent. They even took all the packing materials back with them. I would recommend ordering from 1StopBedroom you will not be disappointed. I bought an Danette Dining Room Set using 1StopBedrooms website. They are well built and sturdy. Good work! Can I give it six stars? I am blown away by the quality of this Dining Room Set, and of the beauty of the Danette all together. So great! Do I recommend the Danette Dining Room Set from 1StopBedroom? Ubetchurass. Wish I had known about the Danette sooner. Last year I bought new furniture not nearly as nice, and for a lot more money. I didn't even like it that much. Then a friend told me about 1StopBedroom. I saw the Danette Dining Room Set and HAD TO HAVE IT. Was a bit of trouble, but I managed to sell the stuff I bought and used the money to get my Danette Dining Room Set after all.